Development of your rising stars is an important role for managers and for your company. Future managers and leadership need to be developed to fill the needs due to the upcoming retirement boom. IT is graying and it is starting to show. 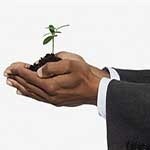 Succession planning need to be part of your corporate strategy. As a manager you probably already know who your rising stars are. Those who have a passion for their work and show management and leadership capabilities. Your job in developing them is to improve the skills and knowledge they will need to become future managers and leaders. Education, classes and seminars are great, but nothing beats real world teaching. Teach your rising stars about the business and the industry you work in. Set aside some time during your day to show them how you do something. Then let them do it on their own. Hands on training is the best kind development practice you can use. Coaching them regularly will aid in the development of both their soft skills and their technical skills. Strong skills will be needed to be a good manager and a good leader. One of the best teachers they can have is a manager willing to spend time with them to show them the ropes. By being a powerful role model for your rising stars you will show them by your words and actions what they need to become a manager and leader. Most managers can think back to someone who had a great influence on them that has made them a better manager. Be that influence for your rising stars by helping them develop their skills. Seeing how you work under pressure, how you deal with difficult challenges and how you interact with others will aid in their development. For your influence to have a lasting effect you must have their trust and respect. Earning that is the first step in setting a good example. As managers we know a crisis is only a breath away. Being able to handle a crisis is one of the most important developmental experiences your rising star needs. Show them first by watching you handle a crisis and then allow them to handle one on their own. Let them call the shots and let them know you are there if needed. Be ready to step in, but let them feel the heat of a real crisis to temper their composure under pressure. A crisis is a real test of your rising stars. If they thrive under pressure you have a good one. If they buckle coach them and let them do it again. Show them how they can be proactive and avoid a crisis. We all know being a manager is sometimes difficult and the job comes with failures and setbacks. This is a valuable lesson for a rising star to learn early where the impact can be controlled. Delegate a task to them. Don’t set them up to fail, but do not rush in and save them all the time. Let them fail and learn the lessons that come with it. When they do fail teach them how to learn from their mistakes and overcome it. Later in their career when the risks are greater they will be better able to cope with the challenges that come from failures and setbacks. When they do fail step in and coach them so they can learn lessons from their mistakes. Don’t let them become discouraged. Teach them that failures bring opportunities for improvement and growth. That if they learn from their mistakes they will be far less likely to make them again. In the future when failures do occur they will be better able to cope, learn and move on. Rising stars may be used to success but not used to dealing with it. Just as with failures there are lessons to be learned in success. For instance sharing the success with those who helped you reach it will ensure their support for future success. Taking all the glory and basking in your own magnificence will alienate others and they will be less likely to help you in the future.